This week's roundup covers play from the period of October 19-25. For the full list of Red Sox prospects participating in offseason action, check out our Fall and Winter Leagues page, which will be updated continuously through the end of the offseason. It was a mixed bag statistically this week in Arizona, with Sam Travis's (pictured) three extra-base hits leading the way. Travis went 4 for 18 in four games, with two doubles, a triple, and a walk. He also struck out six times, and he is currently tied for the league lead with 11 strikeouts in only seven games. Carlos Asuaje went 4 for 11 with a walk, stolen base, and sacrifice fly in his three games, and Tzu-Wei Lin went 1 for 7 in his two starts. Recently, SoxProspects Director of Scouting Ian Cundall and Assistant Director of Scouting Chaz Fiorino traveled to the Fall Instructional League to report on the goings-on in Fort Myers. This is the sixth of six reports from the trip. 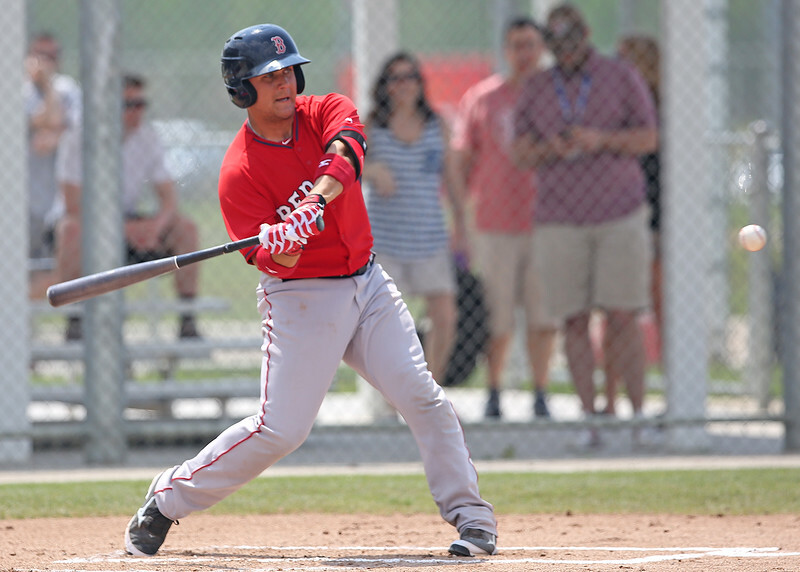 FORT MYERS, Fla. -- Michael Chavis was the Red Sox first, first-round selection of the 2014 MLB draft, going 26th overall. At the time, he was listed at 5-foot-10, 180 pounds out of high school. The 20-year-old Chavis is now listed at 210 pounds, and that he has apparently added 30 pounds since high school is incredible given his already strong, undersized, compact frame. Chavis is very strong in both the upper and lower body with a strong core and looks maxed out physically at this point. Though undersized, he has a very strong frame with athleticism. At the plate, Chavis stands open from the right side with a slight crouch. 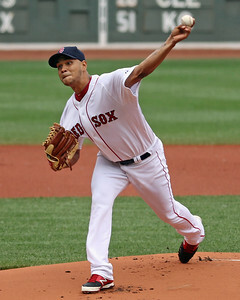 He generates rhythm and timing pre-pitch with his hands as he slightly waggles them back and forth. Chavis generates plus bat speed through the zone and is an overly-aggressive hitter both early in counts and generally in chasing out of the zone. Chavis’ calling card is his plus power that he generates from his plus bat speed, strong forearms, strong wrists, and uphill swing path. 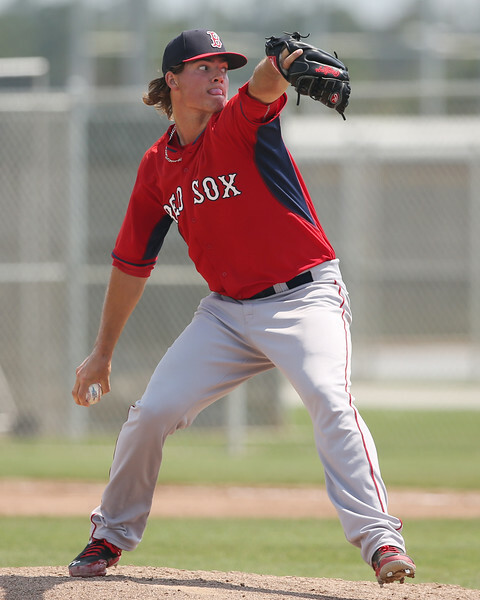 Recently, SoxProspects Director of Scouting Ian Cundall and Assistant Director of Scouting Chaz Fiorino traveled to the Fall Instructional League to report on the goings-on in Fort Myers. This is the fifth of six reports from the trip. FORT MYERS, Fla. -- There was not much to see at Instructs when it came to hitters. 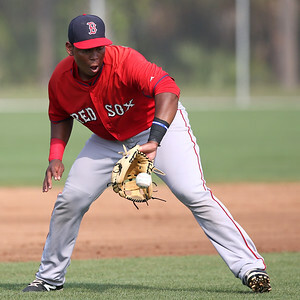 Through a combination of injuries (Yoan Moncada did not play after being hit on the hand by a pitch the previous week), presumed rest (Andrew Benintendi) and the players only participating in the strength and conditioning camp (Rafael Devers, Javier Guerra, among others), there were not many high-upside bats left. One of the hitters who received the most playing time and was one of the more impressive bats was first baseman Josh Ockimey. 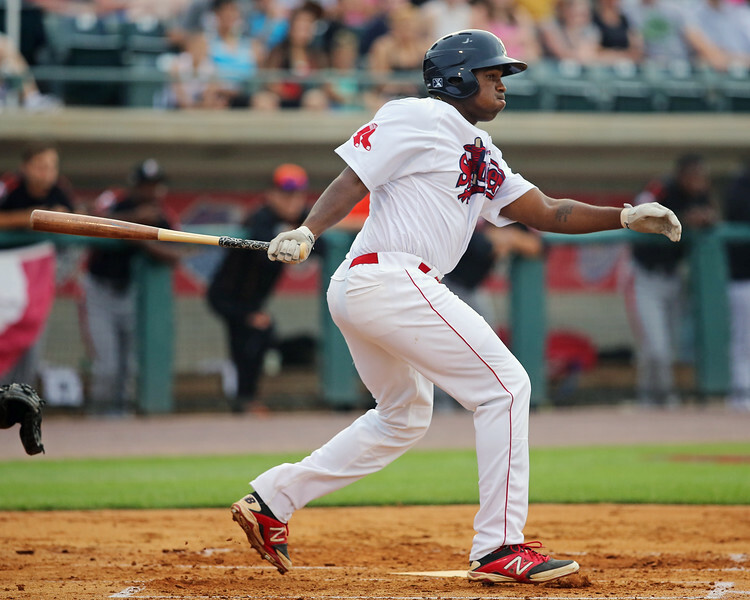 A 2014 fifth-round pick out of high school in Philadelphia, Ockimey had an up-and-down season with Lowell in which he showed off intriguing power potential but struggled with swing-and-miss, especially against off-speed pitches. Ockimey has a big body, listed at 6-foot-1, 225 pounds, and has limited physical projection. Defensively, he is limited to first base only, which puts a lot of pressure on his bat to develop. Recently, SoxProspects Director of Scouting Ian Cundall and Assistant Director of Scouting Chaz Fiorino traveled to the Fall Instructional League to report on the goings-on in Fort Myers. This is the fourth of six reports from the trip. 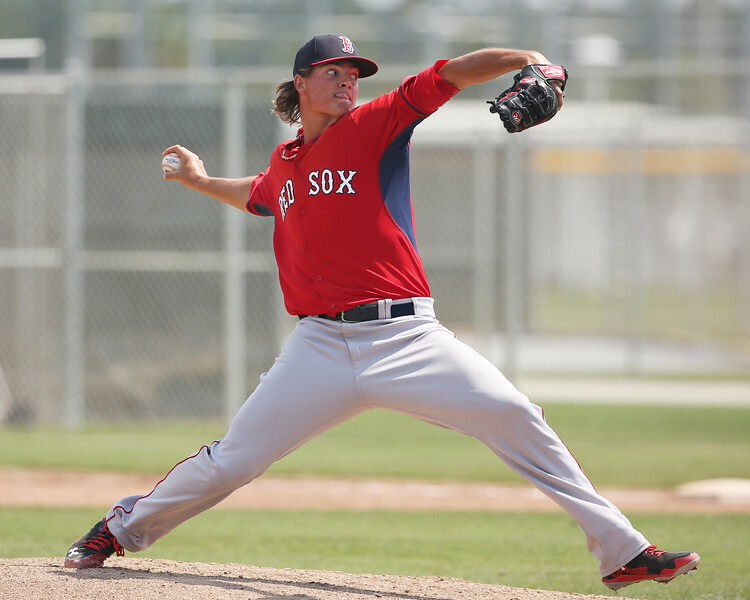 FORT MYERS, Fla. -- Listed at 6-2, 230 pounds, 20-year-old right-hander Jamie Callahan has an athletic, lean, solid pitcher’s frame with limited projection physically. 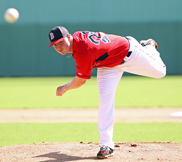 The former 2012 second-round pick had a short stint on Friday, displaying a fastball, slider, and changeup. The fastball was 91-94 mph, slider 82-84 mph, changeup 86 mph. Most notably Callahan comes out from a high, overhand arm slot in his delivery with long arm action in back. It was an abbreviated look and the overall package was average at best. Callahan made strides forward this year after repeating Greenville in 2014 with an increase in his K/9 from 7.37 to 9.47 and decrease in BB/9 from 5.47 to 3.32. Still only 20 years old, Callahan is very raw at present. This is the first in our series of weekly roundups of the Fall/Winter Leagues. Coverage will continue every Monday into January. For the full list of Red Sox prospects participating in these leagues, check out our Fall & Winter Leagues page, which will be updated continuously through January. This week's roundup covers the period of October 7-18. Games started on October 13, with six Red Sox prospects suiting up for the Scottsdale Scorpions. First baseman Sam Travis appeared in all three games thus far, going 3 for 13 with a double and an RBI. Fellow infield mates Carlos Asuaje and Tzu-Wei Lin each collected their first hit in limited action. Recently, SoxProspects Director of Scouting Ian Cundall and Assistant Director of Scouting Chaz Fiorino traveled to the Fall Instructional League to report on the goings-on in Fort Myers. This is the third of six reports from the trip. FORT MYERS, Fla. -- Right-hander Anderson Espinoza put together one of the most impressive debut seasons for a Red Sox pitching prospect in recent memory. In my first chance to see him live—in an outing where he didn’t even throw his best secondary pitch, no less—he was extremely impressive. Espinoza doesn’t have a prototypical tall, projectable pitcher’s frame, but calling him undersized is a disservice, as he looks all of the 6-foot-1, 190 pounds at which he is listed. The young Venezuelan definitely has room to add weight as he matures and gets stronger, but did not look out of place size-wise when around players sometimes five-plus years his senior. Even before you see Espinoza’s raw stuff, his demeanor and feel for pitching really stand out. He is very advanced for his age and did not look out of place at all facing polished college hitters from the 2015 draft class. He is a solid athlete and has a very quick, loose arm. Espinoza has a clean, free, and easy delivery and his arm works fine. He does a very good job of repeating his delivery and showed off quick feet and a solid pickoff move. Recently, SoxProspects Director of Scouting Ian Cundall and Assistant Director of Scouting Chaz Fiorino traveled to the Fall Instructional League to report on the goings-on in Fort Myers. This is the second of six reports from the trip. 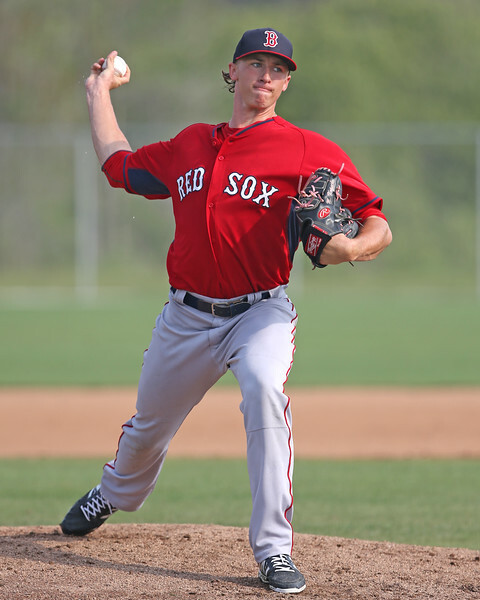 FORT MYERS, Fla. -- Listed at 6-4, 210 pounds, Michael Kopech threw four innings on Friday. The former 2014 first-rounder will likely see longer-than-usual stints in the Instructional League making up for innings lost this past year while serving a 50-game suspension after violating the Minor League Drug Prevention and Treatment Program. Kopech starts with his hands at shoulder height in front of his chest, then drops his hands down to the belt and back up again as he goes into his semi-wind-up delivery. He stays closed off for a long period of the delivery and shows the ball behind his body as he delivers towards home from a three-quarters arm slot. The delivery is already noticeably different from the time he was drafted to now; he is a lot more compact, fluid, and balanced. Recently, SoxProspects Director of Scouting Ian Cundall and Assistant Director of Scouting Chaz Fiorino traveled to the Fall Instructional League to report on the goings-on in Fort Myers. This is the first of six reports from the trip. FORT MYERS, Fla. -- The standout pitching performance from the first day in Fort Myers came from left-hander Luis Ysla. The 23-year-old Venezuelan was acquired from the San Francisco Giants in exchange for outfielder Alejandro De Aza in Dave Dombrowski’s first trade with the Red Sox. Ysla entered the year as one of the top 30 prospects in the Giants’ system following a strong season as a starter in the South Atlantic League in 2014 (121.1 IP, 2.45 ERA, 104 H, 45 BB, 115 K), but he struggled in the hitter-friendly California League, giving up 22 earned runs in his first five appearances before moving to the bullpen and seeing only moderate improvement. But after the trade to the Red Sox, he pitched five scoreless innings in Salem, allowing no hits and striking out six with two walks. Ysla is listed at 6-foot-1, 185 pounds, but looks much heavier than that. He has a large lower half and soft body with little to no projection remaining. Ysla throws from a three-quarters arm slot slinging the ball with a live, loose arm. He has some effort in his delivery and gets deception from a high, exaggerated leg kick. In his inning of work, Ysla struck out the side, sitting 93-96 mph with a fastball that really seemed to jump on hitters. He was able to locate the pitch within the strike zone, and it showed late life and bat-missing potential. He got two of his strikeouts on his fastball, both swinging when he blew the hitter away. LOWELL, Mass. and PAWTUCKET, R.I. -- Over the last few weeks of the season, Assistant Director of Scouting Chaz Fiorino took in several Lowell Spinners and Pawtucket Red Sox games. The following are his reports on four players, including two top picks from this years draft and two less-heralded international arms. Physical Description - Strong frame; filled-out throughout; baby-faced. Arm/Delivery Mechanics - Easy; no-wind-up delivery; pitches from middle of the rubber; hands set at chest height; short arm in back; slight back tilt in delivery; stays on line; repeats delivery.